One of the best ways to become a more well-rounded and confident bowler is to test yourself in a team environment. Whether you form a two-man partnership or join a five-player group, you might find that team bowling can often be more exciting and a greater test of a bowler’s willpower than the solo game. The highest form of bowling intelligence is to be able to perform observation without judgement. The goal is to notice first and react at least 5 seconds later. 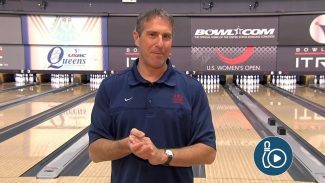 Watch as bowling coach Kim Terrell-Kearney attempts this practice during and after her shots. 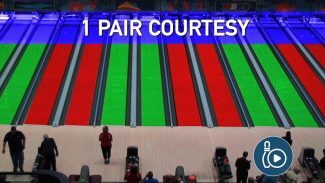 Lane courtesy is another bowling rule that can be difficult to understand and may differ between leagues and tournaments. 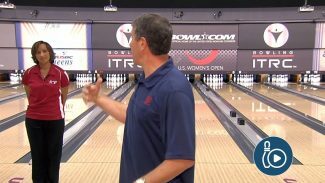 Many bowlers have questions on proper lane courtesy when it comes to a tournament setting. Bowling coaches Carolyn Dorin-Ballard and Kim Terrell-Kearney discuss lane courtesy.